Spending time in one of France’s most lovely towns is a pleasure. Aixcentric looks at some of the fun things happening; we’ll find good books, interesting places to eat and highlight new shops. Plus there’ll be bits of news and profiles of the people who are behind it. Let’s get the most out of this beautiful part of France! Profile: Lynne has had a career in journalism and international marketing communications. “I enjoy our flat in Aix which we’ve had now for 12 years but have sometimes found it hard to find out what’s happening locally. So, four years ago, I started Aixcentric to pass on details of events or new places (startups or new-to-me) and have slowly extended its remit. It isn’t meant to be a comprehensive website. There are lots available now and I recommend http://www.marvellous-provence.com/ if you want reliable listings. 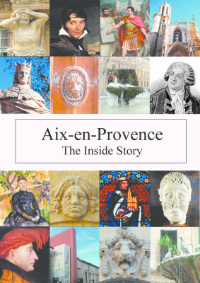 But I hope you enjoy Aixcentric and that it adds to life for locals and the many people elsewhere who love Provence. Do you have a twitter handle? I just tweeted one of your book reviews. That’s exciting – thank you for the nomination – my first award!! Your site is exactly what I’ve been looking for, a way to stay informed about what is happening in our new town despite my paltry French. Thank you! I wonder if you know anything about the geocaching event that took place last night in the centre-ville–groups of young adults, families and singles wearing headlamps and following map instructions to find various checkpoints around town. What a fun way to explore the town! Hello – Glad you are find the website helpful. I haven’t heard of your event and wish I had as I could have posted it – it sounds brilliant fun. If there is anything you hear of in future, do let me know as it is quite a job trying to figure out what is happening round here! Really great variety and interesting finds. I will keep reading! Very keen to spread the word about this survey on Heathrow flight demand. Can we put it out on the AAGP onelist? It would be really great for us too. My husband has spent alot of time over the last 4 years driving to Nice so that he can connect at Terminal 5 to all over the world. Love the blog,keep up the good work! A little bit away from Aix, but we’ve been waiting for spring so we could see Chateau Les Baux’s medieval ‘war games’ demonstrations (before the high tourist season), and in April during the school holiday, one can see how catapults work and fire crossbows at the archery demonstration (these continue then through summer until fall). The setting is a lovely one for a picnic lunch, and the windy views were stunning, everything still very green. Ps. Someone asked me about listening to opera in the summer evenings in Aix…is there a festival? Hello – thank you so much for the ideas for families at Les Baux. Excellent input. On the musical front, there is the big Aix Festival which starts at the end of June and runs through most of July. The website is http://www.festival-aix.com. It’s extremely popular so it would be a good idea to get tickets while you can. Another idea is to have a look at http://www.orchestre-philharmonique-du-pays-dAix.fr – this symphony orchestra tours the surrounding villages each summer and it is a wonderful experience to sit out under the stars and listen to the music. This year, it’ll be 21st June-8th July – exact dates not released yet but you can register for their newsletter. There is also activity around the ‘Musique dans la Rue’ festival 3rd week in June so keep a look-out for details (they are usually released quite late). The main music night is 21st June when the whole of centre ville is alive with bands and pop-groups – I love it but best to go early as in recent years it’s been getting a bit out of hand after dark. Good luck! 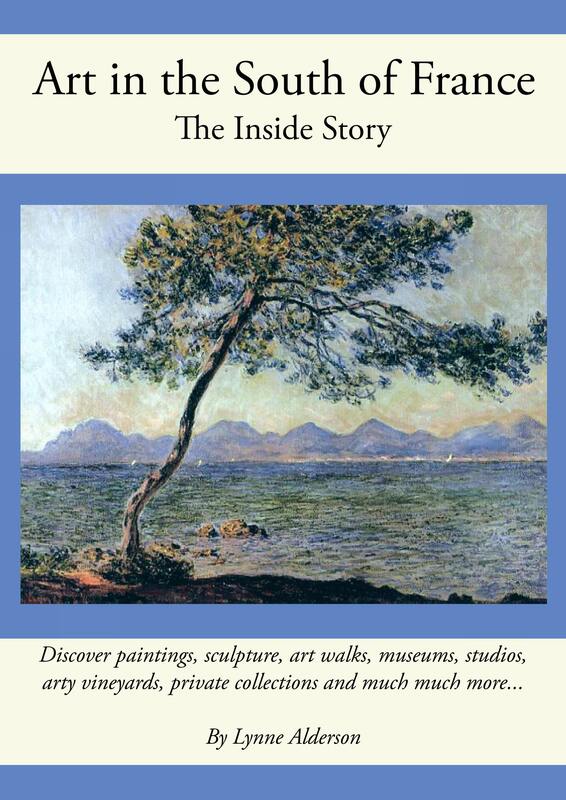 Hello Lynne, as an America expat permanently ensconced in Aix, I am loving your blog, which I only just discovered. It provides the the valuable, “hmmm, wonder what I should do this weekend” tips that one seeks out only at the last minute it seems. A note that you might want to try Les Agapes (11 Rue des Bernardines) sometime. They offer delicious Provence comfort food at very reasonable prices, and have a fireplace going so perfect for a winter meal. I look forward to more great reading here. Thanks again! Thank you for the tip. I have read good reports on this resto and look forward to trying it out. Glad you enjoy the blog and thank you for contributing. Just discovered Aixcentric. You are so informative. We have been visiting Aix for several years, first camping at Arc en Ciel then buying a holiday apartment in Aix. All this time we have struggled to get information from Aix Tourist Office, to find out about fetes and events in the area – at times having to rely on posters on trees etc! We are looking forward to our next visit in May and your Blog will keep us up to date with what’s happening. Hello – Glad the blog has been useful for you! Hi Lynn, Thought you might like to know …. we were just at Parc Jourdan this morning and there was a work crew dismantling all the playground equipment. I asked if there was going to be some new stuff coming and if I understood correctly then there will be some new things installed. I think he said that it would be in about a month’s time. Excellent – thanks for the heads-up. Had the carousel disappeared completely? I’ll investigate when I get back. 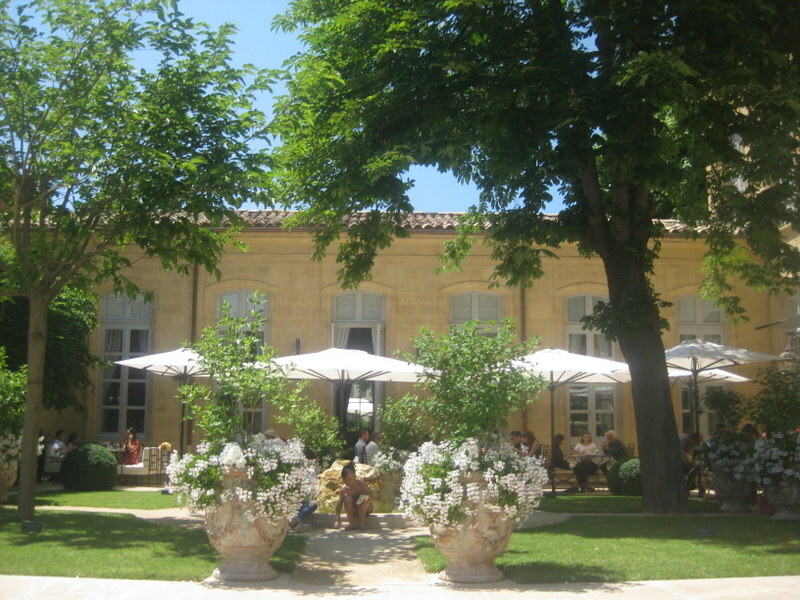 What a great blog, thank you so much for your time to let us all know what’s going on in Aix and its surrounding areas! great great blog! Wish you could talk also of things of interest happening in the greater south… or do you… and I missed it? Thank you for your kind comment. I like your blog too….but don’t think I can extend Aixcentric that far. It keeps me busy enough to keep up with what’s happening in Aix! We are looking forward to spending a week in Aix in early September and was wondering about the construction underway and how it is affecting the beautiful markets. Hello, The redevelopment of the ‘trois places’ will go on for about 24 months and this has displaced the markets from their usual location around the Palais de Justice. But they seem to be thriving and I find them more spacious and easier to navigate in their new places. I visited my daughter in Aix last month, and we heard a wonderful late night jazz band playing at a cafe around the corner from the excavations near the Palais de Justice. I heard that they had recently discovered remains of a mother holding her child. As this trip is the last chapter of my memoir, I was hoping to find out if there are any photos or documents to back up this story so I can include the detail in my text. Can you please help? Feel free to email any links you may think would be helpful. Thank you so much! It sounds like you had a fun visit. Have a look at the Aix mairie website….under the ‘project des trois places’, you will find the weekly report from the archaeologists. Starting from the most recent, they itemise everything uncovered that week, so that should give you plenty of info. Good luck with your research. I will also keep a lookout for what you describe. Aixcentric will be back for la rentree!